So after 7 months or so, it seems my power supply is no longer functional. While support is sending me a new one, I am looking to have an alternative solution in case this happens again (or even now as I don't know when I will actually receive the replacement power supply). On the power supply if I recall correctly, the router requires 5V/3.0a which is achievable via a usb-c cable and normal wall adapter. I spoke with support with two different answers, one 5.0V/3.0a and another 5V/2.0a. In either case, I have tried multiple different combos of wires and wall adapters and I always get an "adapter error" message on the screen. End question, has anyone been able to use a third party cable/adapter setup to successfully power up the router? @vishal-patel the Router accepts 9V/1.7A as labeled on the bottom of the unit. The power adapter supplied lists 5V/3A or 9V/1.7A or 12V/1.25A. Sorry for the confusion, but you will need a 9V/1.7A power supply. I have heard from multiple customers that 3rd party power supplies do not work with our product and they throw an "Adapter Error" but others have had success. Just know that using a 3rd part power supply is not recommended and our warranty department can usually get you a replacement power supply to your door in 2-3 days. Please DM me so I can follow up on your case and ensure the power supply gets to you ASAP. @ubnt-brett Thanks. Sent you a DM. I've recently purchased a unit of amplifi hd. 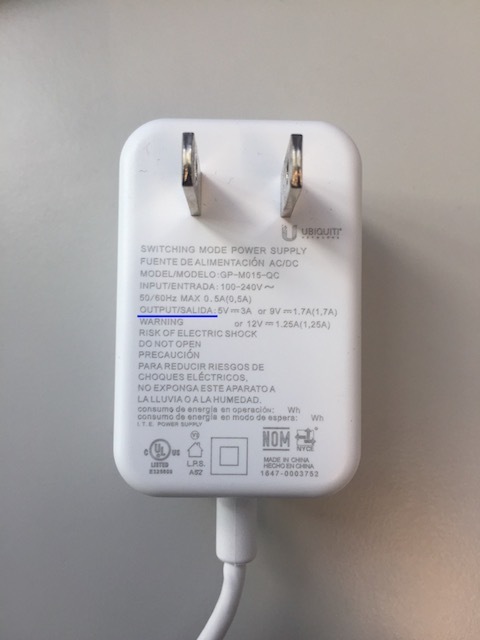 The power adapter labelled as 1.25a. As mentioned by you.. why the new units still supplying the 1.25a instead of 1.7a? @jerry-soon The adapter supports different outputs, whereas the router has one input rating. I have attached photos for clarification. I just contacted support, need another power supply as well. However, I'd like to get two, one now and one when things go sideways again and I don't have to wait 2-3 days. If possible, can I just purchase a 5-pack? It would be VERY beneficial if you had them available on the store. Waiting with no power....just looked on Amazon for a replacement...but after reading your post...hesitant to purchase one and get next day shipping. @phil-hasseljian Using a 3rd party power supply is not recommended. Agreed. So don't you think it would be good to sell them on the site? @phil-hasseljian Thank you for your suggestion! I will add it to the list of feature requests for future consideration. It would be great if you could sell replacement PSUs as if issues occur out of warranty then only the PSU purchase would be more cost effective than having to purchase a new unit. Like others have stated, 3rd party chargers mostly do not work. I just tried 7 different third-party USB Type-C Power Delivery chargers that support 9v and not a single one of them worked. All gave the "Adapter error" warning, even some that are USB-IF certified and up to 60W chargers. I tried a few different cables as well (USB 2.0, 3.1 Gen 2, etc.). Nothing worked except for the first-party charger. The only pattern I could find is that all of my tests were done with chargers with removable cables since I have none with built-in cables. And my understanding of USB-C power protocols is that these chargers negotiate a little bit differently than chargers with built-in cables. 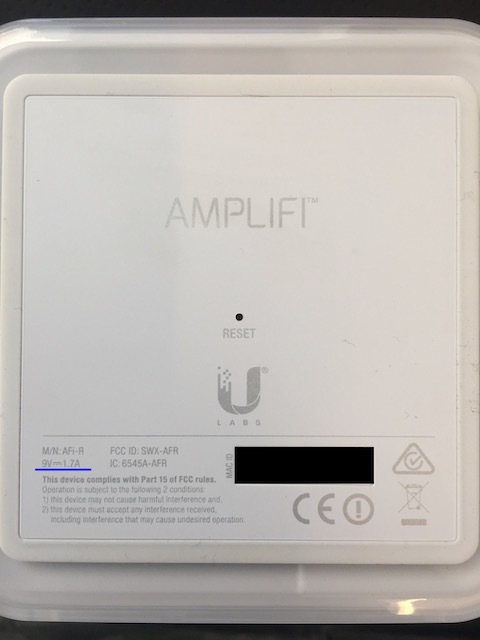 I suspect, unfortunately, that AmpliFi is doing something nonstandard to negotiate the power transfer process in a way that it just can't handle the most typical scenarios which happen to be different than with their first-party charger, although I don't know this for sure and that is 500% speculation.